We wrote recently about Dry January, a UK-originated movement to abstain from alcohol for the entire first month of the year. Interesting idea. But for a lot of wine, beer and spirit lovers, the lack of serious and sophisticated alternatives to booze can be a big barrier to even considering such a radical idea. A newcomer to the market, DRY Soda, is helping eliminate this problem with a new concept in beverages. 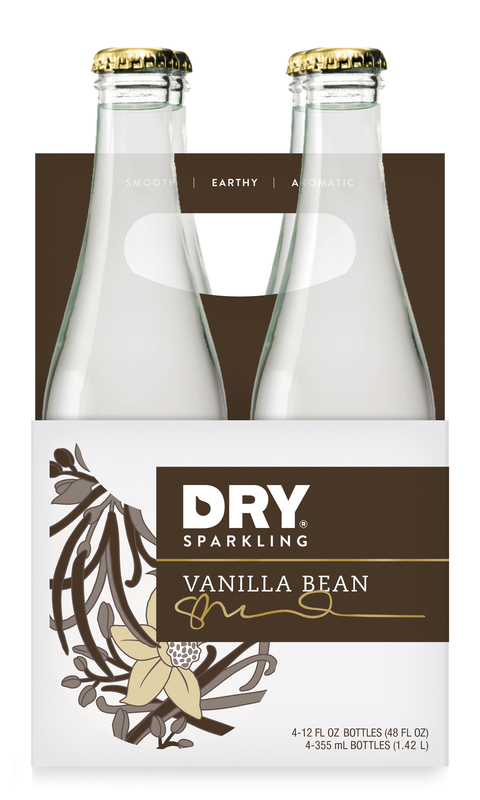 DRY sparkling soda is a bubbly non-alcoholic option that contains a small amount of natural cane sugar along with some unusual and complex flavorings. They’re satisfying, perhaps because the natural sugar replaces some of the sugar you would normally get in alcohol, and don’t make you feel deprived because you’re not drinking booze. Because the blend of sugar and acidity is balanced – just as winemakers do with dry wines, balancing sweetness and sharpness – the flavors are appealing on their own, go great with food, and also mix beautifully with juices, champagne, wines, vodka or other spirits. Pick from unique flavors like rhubarb, ginger, blood orange, vanilla bean and lavender that go beyond the club soda idea by contributing their own refreshing fizzy flavors to whatever cocktail – or mocktail – you build. The blood orange has a distinctive fresh-orange-y taste without being overly sweet. While we’re not usually fans of cherry-flavored anything, the DRY Rainier cherry sparkler tasted good with a balance of just-a-touch of fresh-dark-cherry flavor and not too much sweetness. We particularly liked the vanilla bean – smooth, aromatic like real vanilla, and with perfectly balanced flavor. Delicious on its own and almost good enough to sub for dessert! Ingredients include filtered, carbonated water, pure cane sugar, natural flavorings and phosphoric acid (used to give a sharp, acidic twist to the flavor of many colas and other carbonated drinks). DRY offers recipes that help you cut out some alcohol: “No Champagne, No Gain” makes a nice alternative to a traditional champagne toast. “Holiday Trail” mixes vanilla bean DRY, orgeat syrup (a sweet almond/orange blossom concoction – here’s how to make your own orgeat) and bourbon. Mix pureed strawberries and vanilla bean DRY in a “Caliberry Spritzer.” Or just pair and enjoy these drinks with your meals. DRY comes in elegant tall cans and in 355ml or 750ml bottles. In Chicago find DRY at select Jewel and Target stores as well as a few other outlets like Plum Market. Use their Web site’s handy “Find DRY” locator by inputting your zip code. But you may want to call ahead, because some places don’t have it or have only limited quantities in stock. And if you’d seriously like to consider losing the booze altogether, check out the book The Naked Mind: Control Alcohol, Find Freedom, Discover Happiness & Change Your Life by Anne Grace. Raised in a shack with no running water, she became a hugely successful C-level marketing exec who started drinking gradually and eventually found herself drinking way more and enjoying it way less. The book talks about how people are afraid to even ask the question, “Am I drinking too much?” because it might mean they have a problem. Try reading this book instead of stealthily checking online at night to see if you’re drinking too much. For some who read it, the most powerful message may be the straight talk about how negatively heavy drinking affects both the present and the future of one’s children. But it’s also a clear-eyed look at the negative effects on anyone. Read a story on her website about a high-functioning, successful business man who, after stopping alcohol for only a few days, discovered dramatic positive changes in his feelings about his wife, his children and himself. He was more patient and felt more connected; it’s a strong statement. On that same page, in return for your email address, you can download the first 40 pages of the book for free.